It’s just past the time that high school seniors have decided on their college, and juniors are looking ahead to applications. It’s nice being able to talk to someone who’s gone through the same process that many juniors will go through. There’s much to think about: the SAT, the ACT, good grades, finding a school that fits your interests, essays, applications, visits, and more. We have the perspective of two high schoolers: Brooke who has been through the application and acceptance process, and Claire, who is just beginning it. Brooke: Finding the right college is really difficult. My decision came down to two schools, and a lot of different things factored into my final choice. You have to consider location, class difficulty,cost, the “feel” of the school and it’s social aspects, and a ton of other stuff. 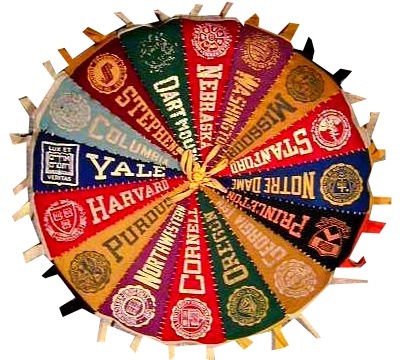 With the two schools I had, one was much more prestigious but a lot more costly, and the other one had given me scholarship money, but wasn’t particularly well-known. I had to weigh my options: would the more abundant opportunities at the one school outweigh its cost? Would I be happy in the towns the schools were in? Did I feel welcome and included by current and other prospective students? You may never have that moment where you just know, like a lot of people talk about. You have to trust you’ll make the right decison for you. This entry was posted in College Prep, Community, Opinions, Teen Powered and tagged bysplteens, college, college prep, college visits, Community, written by teens on May 22, 2015 by Teen Blogger. Summary: No one expected Hannah Baker’s death, but thirteen people would soon find out how their actions and words pushed Hannah off the edge. Clay Jensen is determined to listen to Hannah’s thirteen tapes to figure out her story, and why he is in it. These tapes show a side of Hannah that no one saw, and the truth about who she really was. Gut Reaction: Filled with suspense, good life lessons. I would give this book 8/10 stars because it was detailed and had a good plot, but was slow at times. What I loved: I really liked how the book took the image of a perfect girl in high school and showed the reader that she has feelings and is just like everyone else. Why: This book always keeps you guessing what will happen next and surprises you with each new tape. The characters are all distinct and have intriguing personalities that draw you in. This entry was posted in Read This!, Teen Powered, Watch This! and tagged death, Greenwood, high school, realistic fiction, suicide, Teen Book Reviews, written by teens on May 22, 2015 by Teen Blogger.